Welcome home! Beautiful end-unit available in Silver Mesa Palomino Park. 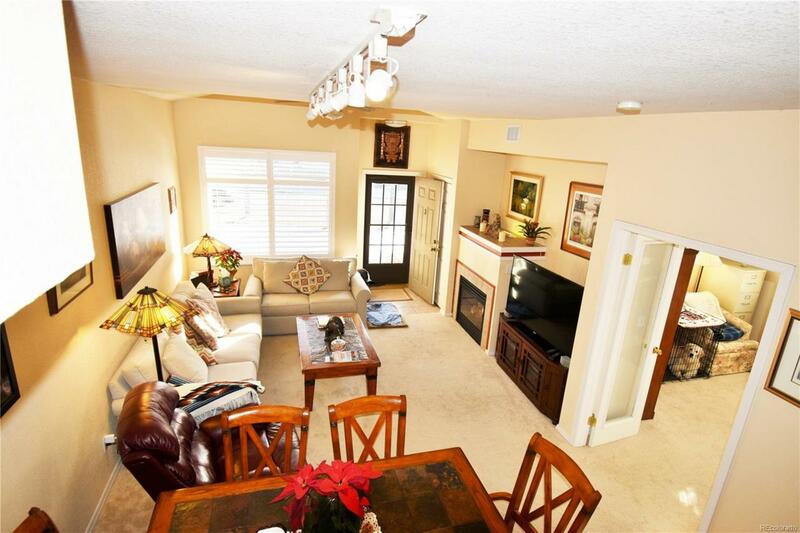 Features spacious living area with vaulted ceilings and fireplace. Main floor bedroom or office. Kitchen with new appliances, granite counter tops, and eating area. Large master bedrooms with five piece bathroom and walk in closet. Bonus 2nd master suite upstairs.Over-sized attached garage has plenty of space for storage and workshop. Access to amazing amenities in one of the most sought after neighborhood communities www.palominopark.org. New counter tops, plantation shutters and appliances! Show and sell today!